Interview: Saad Shafqat on his debut novel ‘Breath of Death’ – a medical thriller based in Karachi. Saad Shafqat is a neurologist by profession, a cricket writer/columnist and the author of the medical thriller, Breath of Death. We caught up with him recently to talk about the book, terrorism, and his future projects. Breath of Death is his first novel. How did you decide to write this novel? I’ve always enjoyed telling stories and sharing anecdotes, and for a long time I’ve also felt drawn to the craft of writing. 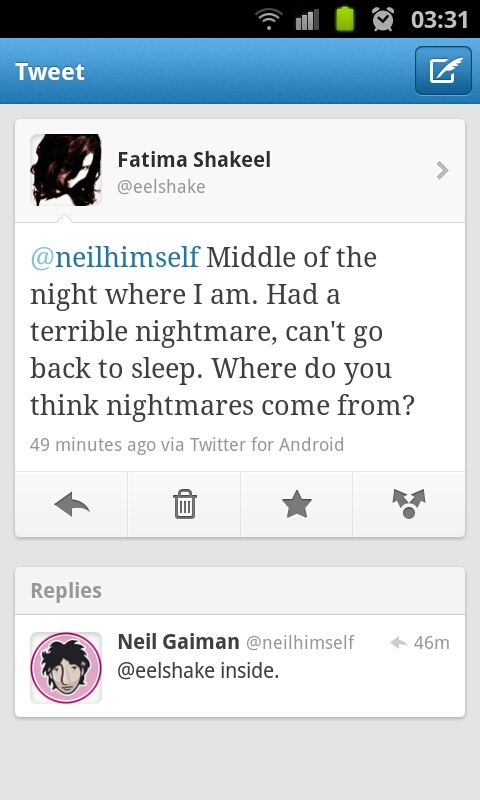 I felt an urge to write this novel at least partly because I wanted to combine these two inclinations. I’d been writing on cricket and on social issues for a while, but I hadn’t done fiction before. I think if there is a story inside you, it has to come out somehow. It’s in our nature as human beings, and it has the effect of easing a burden. I guess at some level I just felt there was a story somewhere inside and I had to express it. The story is based in Boston and Karachi, the action takes place in a hospital and the protagonist is a neurologist. Did your professional surroundings inspire you? Yes, very much so. A hospital is really a miniature human society, with life-and-death drama at its core. There is no shortage of emotional triggers. On top of that, physicians spend a great deal of time in their professional milieu, so there’s constant exposure – I would even say bombardment – from the daily realities of the medical experience. The setting and surroundings of our work have the potential to play havoc with the mind, and it seems some of that gets translated into fiction-writing. Many novelists have in fact been doctors (there’s even a Wikipedia page dedicated to that category). You’ve written about the taboo of pirs and fakirs, not once but twice in the book. Is this something that you’ve observed in your patients? Yes we see this from time to time. It’s very depressing, because it’s all about deception and exploitation, and about innocent people getting badly misguided in the search for good health care. I think it’s also true that these negative influences are on the wane. There’s an increasing degree of transparency in our society now, with the proliferation of media, mobile phones, internet, etc. Patients and families are becoming savvier and better informed. Religious extremism and anti-American sentiment seems to be at the heart of most terrorist operations. Both the villains (if we can call them that) Malik Feysal and Hamza Kadri also display these feelings. But so do the doctors at Avicenna Hospital. Were you making a larger point about American foreign policy by showing this? I think there’s a lot of ambiguity in the way we relate to America and its various aspects, and I’ve tried to portray that in the book. America’s foreign policy and military outlook, for example, are deeply unpopular with everyone, and this sentiment cuts across socioeconomic, ethnic, cultural, and even international barriers. Yet there is also no denying that there is much about American life and society to admire and emulate – freedom, justice, prosperity, intellectual ferment. This is what makes America fascinating, and draws us to America as an iconic idea. I also think that, as a writer, it is important to create ambiguity. You want to try and keep the reader guessing whose side you’re on. When discussing America, that kind of approach comes naturally. As a first time author, what kind of publishing hurdles did you face? Getting fiction published by a first-time author is uphill anywhere, but perhaps especially so in Pakistan, where there is no credible fiction publisher. The only multinational publisher with local offices is Oxford University Press, and while they’re doing a terrific service through the literature festivals in Karachi and other cities, they’ve stopped accepting fiction from Pakistan. This is in marked contrast to India, which has local presence of some of the big publishing houses such as Penguin and Random House. So you naturally have to look outside the country, and many of us have focused on New Delhi, which has fast become the publishing center for desi fiction in English. I initially sent out my manuscript to literary agents in the US and UK, but kept getting rejected. A few did give encouraging comments, which was very heartening, and that strengthened my resolve. 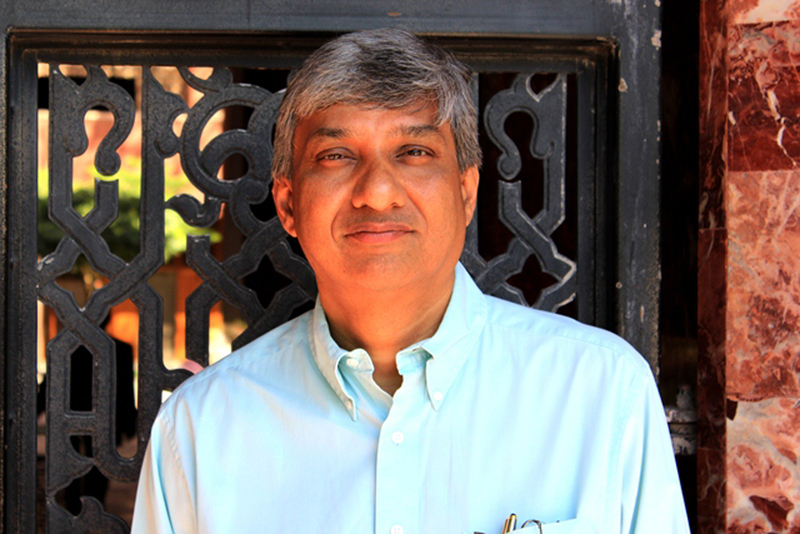 Eventually I started exploring options in India, and got lucky with Wisdom Tree, an emerging Delhi-based publisher who decided to take a chance. John Grisham, being a lawyer, writes law thrillers. Is it safe to assume that you will continue writing medical thrillers? I’ve started work on a dark comedy in a medical setting. This one too is based in Avicenna Hospital, but the central character is a woman. She’s a trauma surgeon who gets into some trouble, and then she has to get out of it. 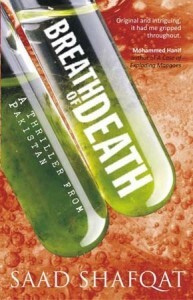 Asad Mirza, the protagonist in Breath of Death, might come in at some point, but peripherally. The series I would like to create is on the unpredictable nature of life in Karachi, with Avicenna University Hospital as the common theme. Medicine is full of drama, and when you situate it in a city like Karachi the possibilities are endless.